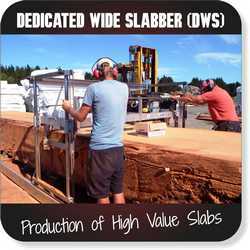 Have you ever dreamed of building your own home with lumber milled from your property? 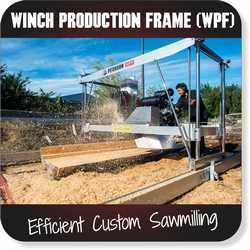 Perhaps you’d like to start, or complement, your own custom sawmilling business? 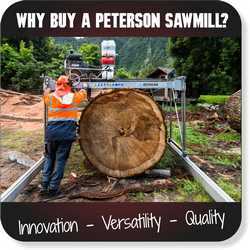 For over three decades, Peterson Portable Sawmills have been the passion and livelihood of thousands of satisfied sawmillers worldwide; from farmers and woodlot owners, to custom sawyers and commercial operators who enjoy after-sales service that is second to none. 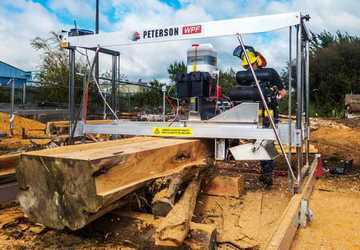 With Peterson, you get what you pay for; well designed, efficient and versatile portable sawmills with features that will SAVE you money on running costs. As Butch says, don’t settle for anything less. 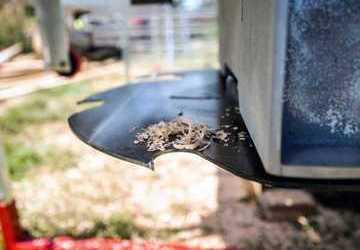 Reports of increased milling productivity come in weekly from commercial operators with some stating that the Peterson is the “best forestry or agriculture machine” they’ve ever purchased. 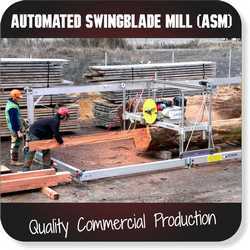 One example is Australian miller Andrew Smith who has almost doubled the production of his previous manual model sawmill (competitor brand) since he purchased a Peterson Automated Swingblade Mill. 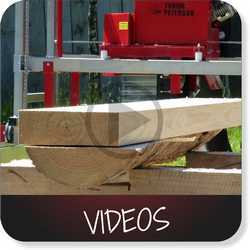 Watch this video of Andrew milling hardwood with the touch of a button during his on-site ASM training. Andrew now turns out 80 – 85 cross-ties per day without breaking a sweat. All sawmills include two Peterson blades and an electric diamond wheel sharpener so you can sharpen your blade while it’s still on the mill in under 10 minutes. Blades have been known to last more than 10 years! Click the image to view our Blade Maintenance Comparison Sheet. 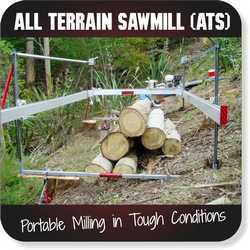 “My friend has a big bandsaw mill (Woodland Pro 4000), but he can’t handle long and large diameter logs. So my Peterson mill, with extra rails, was just what was needed to do the job. 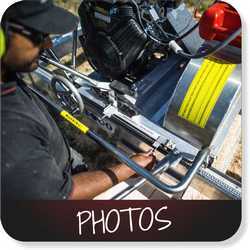 Now I have more work that no other mill in the area can do!” – Steve Cannon. 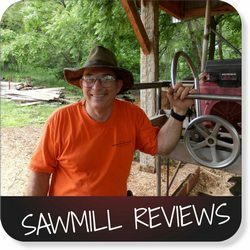 Click the image for more sawmill reviews. Select a standard model and choose the extras or upgrades you need. 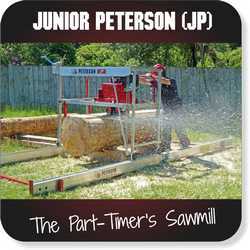 A portable sawmill for everyone, from part-timers (Junior Peterson) to commercial operators (Automated Swingblade) and everyone in between (All Terrain Sawmill, Winch Production Frame and Dedicated Wide Slabber).